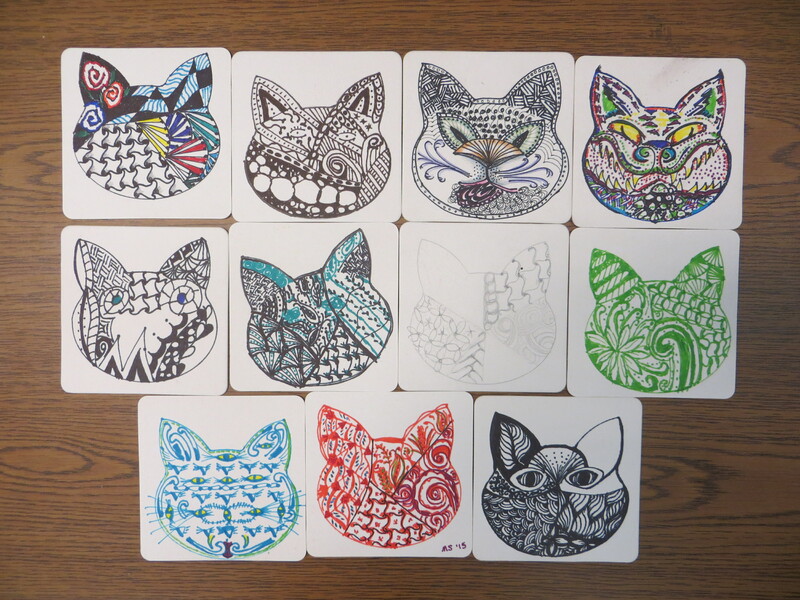 Then we all copied a stencil of a cat… and look what happened! Each one is so different! This was SO FUN! Thanks, ladies, for coming! 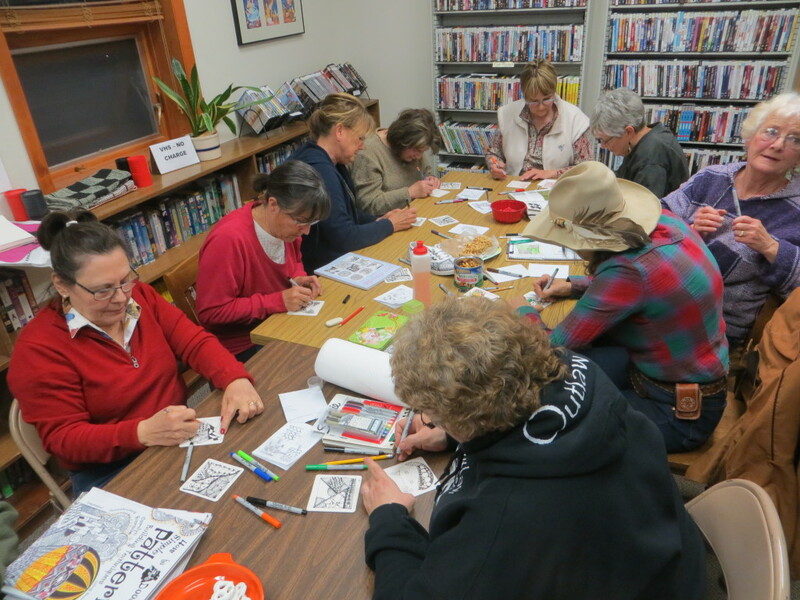 Awe, I want to live in your town and come to the library to learn fun things from you! Plus, I wanted to bid on any one of those signed Craig Johnson books!! How fun! Those are cool!